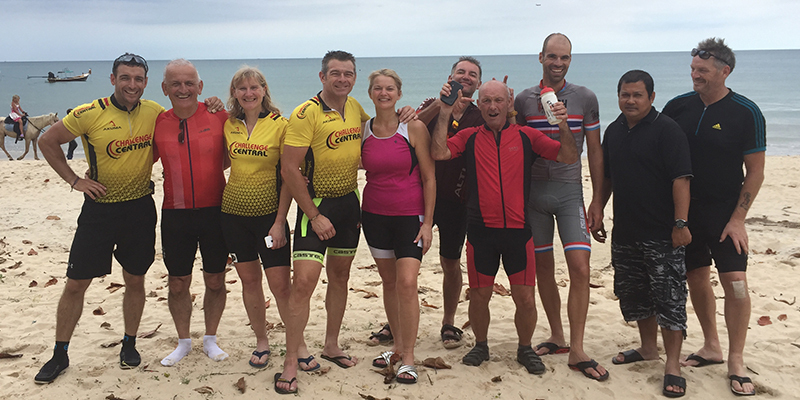 We did it – We cycled over 500 miles from Bangkok to Phuket! It has been a truly awesome adventure from start to finish and everyone has thoroughly enjoyed cycling through Thailand. The ride today was pretty straight forward, with only gentle undulations, no rain, not too much sun and only 60 miles, which we now consider a short distance. The team has set the bar extremely high with their teamwork, camaraderie and impressive average pace throughout the trip. Special thanks to our local Thai support crew who couldn’t do enough for us and were always there when we needed them. The food, the accommodation, the support has all been fantastic and this will be a cycling journey that will never be forgotten. Challenge Central looks forward to bringing another group to Thailand next year and for many more years to come. Now, where is the bar?